There are many factors that affect the distribution and behaviour of fish in the Hopkins River estuary. By keeping a few simple things in mind, anglers can increase their chances of success. Salinity can affect the distribution of different species. The advancing salt wedge will assist the movement of bream and mulloway upstream, while freshwater inflows can push them closer towards the mouth or even out to sea during the wetter months. Short-finned eels and estuary perch are tolerant to freshwater and can be encountered well upstream of the estuary. When the river mouth is open to the sea, fishing on a run in tide can be very effective in the lower reaches. 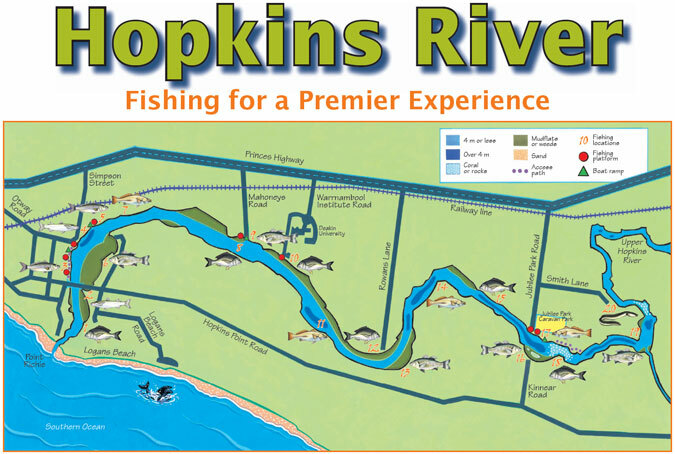 The week immediately after a new opening of the river mouth will produce excellent fishing for bream below the Hopkins River Road Bridge. Seasonal river mouth closures can occur during periods of low flow in the summer and autumn. This can cause the deeper holes to become deoxygenated. As a result, fish may move into shallower waters which contain more oxygen, and fishing is best in water less than 4 metres deep over the weed beds and mudflats. Fish seek habitats that provide shelter and food. Fishing is more productive around structures such as jetties, rock walls and reefs, drop-offs near the edges of channels and weed beds, and in deep holes. Think before you cast as the fish might literally be at your feet. Fishing at first and last light is prime time, particularly over the shallower margins of the estuary. On bright sunny days, look for fish in the deeper holes or underneath the shade of man made structures or fallen trees. Mulloway and estuary perch display nocturnal feeding behaviour and good catches can be made throughout the night. The full moon or new moon phase can also affect feeding patterns. Fly fishing and lure casting with soft plastic and bibbed lures can be highly effective when the water is clear. Bait fishing is the preferred option when the water is murky. When lure fishing, experiment with different sizes, colours and styles and actively search for fish with each cast. Losing a lure to a snag or picking up weed on the hooks generally means you are fishing in the strike zone. Fresh bait is an obvious choice if you can collect or purchase some, especially if it occurs naturally in the river or local environment. Berley can be used to attract fish. Boating access is available to the entire length of the estuary. Trolling lures and live baits can be very effective for estuary perch, salmon and mulloway. Electric trolling motors are favoured as they allow you to quietly approach and fish around structures with artificial lures. If bait fishing, anchor up about 20 metres out from the bank and cast in towards the shore. Use light tackle and small sinkers to increase your catches when the fish are fussy. Large fish are often captured on very small baits that are carefully presented. The Hopkins River estuary is located at Warrnambool in Victoria's far southwest.It extends from the river mouth at Point Ritchie to Tooram Stones at Allansford and is approximately 9 kilometres long. Popular with both local and visiting anglers, it provides a premier fishing experience for highly valued recreational species such as black bream, estuary perch, mulloway, yellow eye mullet, Australian salmon, and short-finned eels. The estuary is culturally significant and marks the tribal border of the Kirrae Whurrong, Gunditjmara and Tjap Whurrong peoples and was a place for gatherings and trade. The wealth of natural resources provided by the river and estuary were, and are still, highly important to the indigenous community. The short-finned eel (kuuyang) is a powerful cultural symbol for the local Gunditjmara people. The Hopkins River estuary acts as a 'salt wedge' with denser sea water sitting on the bottom and fresh water flowing over the top. Sea water is denser because of its salt content. Mixing of the two layers is only slight and the seaward movement of river water pushes the salt water into a 'wedge' shape. At any point in the estuary you may be fishing in the fresh or salt water. The two water layers also tend to differ in temperature and dissolved oxygen levels. During a typical year the river experiences floods in winter and spring and only slight flows in summer and autumn. The salt wedge moves up and down the river as the flow changes. During years of low flows the entire estuary may become salty. Alternatively in years of extensive flooding the estuary may become entirely fresh with all seawater being flushed out. Black bream can live for over 30 years and exceed 50 cm in length and 2 kg in weight, however they are more commonly caught between 200 g and 1.3 kg. They are carnivorous with large rounded teeth and strong jaws and eat small crustaceans, fish, molluscs and worms. Black bream mature at 3-4 years of age and breeding usually occurs between August and January. Bream can be caught in a variety of depths from the shallow margins to the deeper holes. They can usually be found near structure such as jetties, bridge pylons, and along the drop offs near weed beds, rock walls, reefs and mudflats. Bream can be caught all year around and during both the day and night. They are usually well distributed throughout the entire estuary for most of the year, except during periods of heavy freshwater inflows when they move into the lower reaches (July-September). During the breeding season, schools of mature fish migrate upstream with the advancing salt wedge. Shore - 1, 2, 3, 4, 5, 9, 10, 12, 17, 19. Boat - 1, 7, 8, 11, 13, 14, 15, 17, 19. Sandworm, spew worm, crab, brown shell, shrimp, prawns, bass yabbies. Estuary perch can exceed 30 years of age and are commonly captured between 300 g and 2 kg in weight. They feed on small crustaceans, fish, molluscs and terrestrial insects. Estuary perch mature at 2-3 years of age and breeding usually occurs in the lower reaches in late winter and spring. Female fish grow larger than males. Estuary perch are aggressive predators with large mouths and large eyes, and are found in schools. This makes them an exciting recreational target species. Estuary perch can usually be located near structure such as jetties, bridges, fallen trees and along drop offs near weed beds, reefs and mudflats. They can also be caught in deep holes during the day. Estuary perch can be caught all year round, but appear to be more active in the warmer months and there is usually an increase in surface activity during this period as they feed. They are much more active at dusk and throughout the night and can be spread throughout the entire length of the estuary. Winter and early spring are a good time to target estuary perch in the lower reaches of the estuary. Shore - 1, 2, 3, 4, 9, 10, 12, 17, 18, 20. Boat - 6, 7, 8, 11, 13, 14, 15, 16, 17, 19. Shrimp, sandworm, spew worm, galaxiids, river whitebait, black crickets. Mulloway are a highly prized sporting fish that inhabit estuaries, ocean beaches and offshore reefs. Also known as 'jewfish', they feed on a variety of fish, molluscs and crustaceans. Mulloway generally spawn in inshore marine waters, with juvenile fish utilising estuaries as nursery areas. They can grow to over 30 kg in weight and nearly 2 m in length but are commonly caught between 2 kg-15 kg in weight. Mulloway are usually found near structures such as jetties and bridge pylons, and along the drop-offs near weed beds, reefs and mudflats. They also prefer deep holes and can be caught in these areas during the day. When feeding, they move into shallower water to hunt baitfish. Mulloway are usually targeted by anglers between spring and autumn. In some years good numbers enter the river at the start of this period and schools take up residence in favourable locations. Juveniles may inhabit the river all year round. Mulloway can be very elusive so patience, perseverance and attention to detail is required. Fishing at night around the new and full moon periods, considering tides and using live baits will increase your chances considerably. Shore - 1, 2, 5, 10, 17. Boat - 1, 5, 7, 10, 14, 15, 17, 19. Cut fish fillets and live fish, river whitebait, bass yabbies, pilchards, squid, spew worm. Australian salmon inhabit the open ocean, surf beaches and regularly move into coastal bays, inlets and estuaries. Mature fish breed in open ocean waters and are thought to form large schools before spawning. They feed primarily on a diet of fish, squid and crustaceans. They are commonly encountered by anglers between 300 g and 2 kg. In the Hopkins River estuary anglers can expect to catch juvenile fish between 100 g and 400 g as the estuary acts as a nursery. Adult fish live a pelagic life in the open ocean and along the coast whilst juvenile fish usually inhabits bay, inlets and estuaries. The can be found along the entire length of the estuary, mostly in schools in open water or patrolling drop-offs along weed beds and mudflats in search of food. Australian salmon are available all year round, however during winter and spring high river flows may push them downstream and even out to sea. The run in or flood tide is an ideal time to target the fish in the lower end of the river near the Blue Hole as fresh seawater spills into the river. They respond well to a range of artificial lures. Shore - 1, 2, 3, 4, 5, 9, 10, 12, 16, 17. Boat - 1, 6, 7, 10, 13, 16, 17, 19. River whitebait, sandworm, bass yabbies, shrimp, pipi, prawn. Yellow eye mullet are commonly found in shallow coastal waters and regularly enter estuaries in large schools. They usually breed in the sea from summer to autumn, however there is some evidence that breeding may also occur in some Victorian estuaries. Their diet consists mainly of worms, small crustaceans, plankton and algae. They are popular with anglers and are commonly encountered at up to 40 cm in size. Mullet are commonly found near the surface in schools over sand, weed beds, gravel and mudflats. The extensive flats situated along the length of the Hopkins River estuary provide plenty of habitat and shelter from predators. Mullet can be caught all year round. They will usually bite well with a run in tide and at first and last light. During the winter months they are best targeted in the lower reaches of the estuary, particularly when river flows are high. Shore - 1, 2, 3, 4, 5, 9, 10, 17, 18, 20. Boat - 1, 3, 6, 7, 8, 9, 10, 13, 16, 20. Spew worm, sandworm, peeled prawn, pipi, shrimp. Occasionally other species are caught in the Hopkins River estuary including short-fined eels, sea mullet, silver trevally, King George whiting, leatherjacket and flathead. Fresh live bait such as sandworms, bivalves, bass yabbies and crabs are highly regarded and can be collected from the Hopkins River and local environment seasonally. Brown shell bivalves can be collected using a bait pump downstream of the Hopkins River Bridge on the sand and mud flats. Used whole on a hook with the shell intact, they are very effective for bream. They are usually found in the smelly mud just below the surface of the sand. Sandworms can be collected nearly all year round on the sand and mud flats near the Blue Hole, except after heavy floods which make collection difficult. A bait pump and sieve is used in knee to waist deep water. Used either whole or in pieces they are rarely refused by any of the key target species. Spew worms are an effective bait for all the key target species in the Hopkins River estuary. They can be pumped using a bait pump at low tide at the western end of Lady Bay (also known as Worm Bay), Warrnambool or about 18 km west at Killarney Beach and 'The Basin' just off the Princes Highway. Spew worms are larger and tougher than sandworms and often last longer on the hook when there are small 'picker' fish around. Large spew worms are excellent bait for big bream and mulloway. 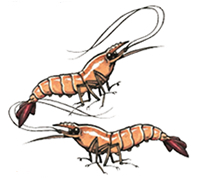 Shrimp can easily be collected duringthe day or night by using a small, fine meshed dip net around the pylons and weed beds, or with a bait trap baited with cheese, fish fillet or soap. They are an excellent fresh or live bait for all common fish species in the river. 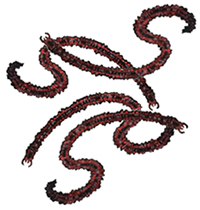 They can be used singularly or by threading several onto a small hook. Often referred to as black crabs, these are excellent bait for bream used either whole or cut into halves. They can be collected at low tide from the rocky edges of the channel near the river mouth and further upstream towards the pumping station. Ensure that you always turn rocks back to their original position if you have lifted them in order to protect the habitat for crabs and other animals that may otherwise dry out in the sun if left exposed. Bass yabbies are a popular bait for bream and mulloway despite being relatively difficult to find in the Hopkins River estuary. Also called nippers, they can be collected using a bait pump at low tide in Lady Bay, Warrnambool or about 18 km west just off the Princess Highway at Killarney Beach and 'The Basin'. Between January and March large numbers of black crickets can be heard and seen in the paddocks along the riverbank. These crickets are excellent bait fished live for estuary perch. They can be easily collected by hand or with a small net under the street lights in town or beneath dried cow pats in the paddocks. Mullet, galaxiids (minnows) and river whitebait can be collected for bait using a recreational bait net, not exceeding 6 m in length (including pulling ropes). A recreational bait net can only be used to collect bait in the Hopkins River downstream from Rowans Lane to within 200 m of the mouth of the Hopkins River. Live mullet can also be caught on rod and line and cut mullet flesh also makes excellent bait for mulloway, estuary perch and bream. Note that catch limits apply to the amount of bait that can be collected. For more information refer to your current Victorian Recreational Fishing Guide. Fresh local bait as well as a range of frozen and preserved baits are available for purchase at a variety of locations within and around Warrnambool. Ball sinker runs down onto a rubber stopper or swivel. Fish feel minimal resistance and can pick up the bait and run. Bail arm can be left open when the fish are fussy. Hook sizes used vary depending on bait. Baitholder or long shank style hooks in sizes 1-8. Hooks in sizes 1/0-8/0 with a fresh strip of cut mullet or squid. Can also be trolled. Size 2-4 hook fished in close to the bank. Cast out the rig and slowly wind in until you find a school of fish. Then target that area. Two hooks (size 6-10) attached on droppers above a fixed sinker. Mullet respond well to berley prepared from breadcrumbs and fish oil. Watch the surface for ripples indicating the presence of a school of fish. Adjust the drop on your leader below the float according to water depth. Particularly effective for fishing near structure and over the top of weed beds. Small bubble or quill float and a hook (size 2-6) baited with live baits such as shrimp, black cricket, live mullet or galaxiids. Large polystyrene float with a hook (size 1/0-8/0) baited with live baits such as mullet. One or two hooks (size 6-10) suspended about 50cm below a fixed float. Allows the angler to actively search the water to locate fish. Soft plastics (weighted or unweighted jig heads size 2-8) or bibbed lures (3-9 cm in length, usually with 2 sets of treble hooks). Soft plastics (weighted or unweighted jig heads size 1/0-4) or bibbed lures (5-20 cm in length, usually with 2 sets of treble hooks). Allows the angler to explore the water at various depths to locate fish. Olive or black matuka (hook size 2-6) or shrimp pattern (hook size 8-12). It's important to know the rules that apply to fishing. These include bag limits and minimum size limits for different types of fish. A bag limit is how many fish you are allowed to keep in one day. A minimum size limit is how big a fish needs to be in order for you to keep it. There are also closed seasons for some types of fish. To learn more get a copy of the Victorian Recreational Fishing Guide. This map is a guide only and although it is drawn to scale it should not be used for navigation. Note that sand banks may shift and water levels may vary as a result of a range of physical factors. The water depths referred to on this map may vary according to the amount of tidal influence, periods of flooding and river mouth closures. As a result the depths shown could vary by more than 1-2 m than described. During periods of river mouth closure, in-stream structures may become submerged creating navigation hazards. The area known as 'The Pass' directly above Jubilee Park is very shallow and if travelling upstream by boat it is suggested that you lift your motor and row through this area. Use the channel marked on the southern side of the river at this location. When navigating the river users should exercise caution and adhere to local regulations and restrictions which are signposted at boat launching facilities. Ski lanes, transit lanes, reefs and speed limits are clearly marked along the river. Remember to respect the rights of other river users. The 'Blue Hole' is on the eastern side of the river at the end of Blue Hole Road, and is a popular location with ample parking and public toilets nearby. The area consists of shallow sand flats with weed beds and a good drop off. All popular species can be caught here by wading and casting to search for fish. The 'Danger Board' is situated directly opposite on the western bank and is accessible from the car park on Point Ritchie Road. Follow the stairway down and turn left. Public toilets are located at the Point Richie car park. Boat access is restricted by high water levels which can prevent passage beneath the road bridge. The entrance is shallow and dangerous and boat passage to the ocean should not be attempted. The bridge on Hopkins Point Road can cater for a considerable number of anglers fishing from both sides. Casting underneath can yield very large bream and estuary perch, with schools of mullet and salmon occasionally seen near the surface. Downstream of the bridge there are extensive shallow sand flats on the eastern shore where more experienced anglers can wade to deeper water using artificial lures or flies. A footpath runs upstream from the bridge along the western bank and provides several fishing opportunities. The first is a recently installed floating fishing platform which enables anglers to cast beyond the weed beds into productive water for bream and estuary perch. Further on the fully accessible platform around the Lyndoch Boat House provides comfortable fishing for anglers of all ages and abilities and the concrete and sandstone wall along this area can also be fished from. The Lyndoch Aged Care Facility fronts the river and appropriate etiquette should be observed. A concrete boat ramp is situated at the northern end of the Lyndoch complex with ample parking for cars and trailers. A floating platform and new fish cleaning facility have recently been installed adjacent to the ramp. Public toilets are located at Proudfoots which is a short walk upstream. Immediately downstream of Proudfoots, a large fishing platform has been recently built with sections of timber from the historic Hopkins Point Road Bridge which was dismantled several years ago. The jetty provides access to productive water where bream, estuary perch, mullet and salmon are regularly caught. Just upstream from Proudfoots, a floating F-shaped jetty provides further fishing access for the same species. The jetty also houses the Spirit of Warrnambool, a large vessel which offers scenic river cruises. A concrete boat ramp is situated just west of Proudfoots with ample parking available. The Ski Club jetty is a popular spot to fish for all key species, as is the sandy beach just upstream. At the end of the beach there is a small drain which also attracts anglers and about 50 m further up is Belvedere Cave which is a good spot when the water level is low. In summer this area is very busy with ski boats and seeking an alternative fishing location is advisable. Please respect the ski club users and refrain from pumping bait along the beach. The mudflats are an excellent place to target bream and estuary perch, particularly when the river mouth is closed and the river level is high or when there is a significantly strong high tide. At other times fish the drop offs on the edge of the mudflats. 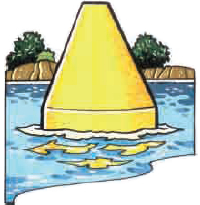 Exercise caution when boating as this area can become quite shallow and submerged reefs are present. The area is marked with channel markers. The downstream end of the mudflats is a good area to collect brown shell for bait. Adjacent to the disused pumping station there is a 5 m deep hole which can be found using a sounder. Bream and estuary perch can usually be caught as well as mulloway when they are around. In summer, fishing can be difficult during the day as the ski lane runs through this area. The area is marked with warning signs and channel markers as there is extensive shallow reef here. Try anchoring or drifting about 20 m off the reef and casting back towards the drop off. Be prepared to lose some tackle on the reef. Good numbers of bream and estuary perch hold up here and some very large specimens are occasionally caught. Exercise caution when navigating this area. Mahoneys Road runs down from the Princes Highway. There is parking available for cars and trailers adjacent to the concrete boat ramp. The current fixed wooden jetty will be replaced in the near future with a floating platform. A new fish cleaning facility has recently been installed. There is bank fishing and wading access in this area. Fishing is best at first and last light. There is a jetty at Deakin University which is available for public use. Access is via the Warrnambool Institute Road. Turn right at the first roundabout and follow the road down to the river. Please observe speed limits. The shoreline is fishable for approximately 200 m upstream. Dense weed beds along the shore provide ideal habitat for bream and estuary perch. Wading and using artificial lures and flies is recommended. Boat anglers can utilise these techniques from the deeper side of the weed beds. Steep rocky cliffs on the opposing bank provide good habitat for bream and another option for boat anglers. Mulloway are occasionally caught here as well. The 'Bay of Biscay' and 'Kings Head' are very popular with boat anglers and are situated upstream of Deakin University. Drop offs, rock walls and reefs on the southern side provide great habitat for bream with crabs being a very effective bait. The northern bank is shallower with some weed beds and submerged reefs and produces good numbers of bream and estuary perch. Mulloway are occasionally taken in the deeper channel. The last few hundred metres of Rowans Lane is unsealed and access can be difficult for 2WD vehicles in wet conditions. There is room to park a dozen or more vehicles at the end of the lane. Access is limited as there is private property on either side. Bream and estuary perch can be caught along the weed beds. The mudflats here are shallow with dense weed beds and provide excellent fishing for bream and estuary perch during high water levels. The edge of the channel is also productive. Artificial lures work well here. Black crickets fished under a float in late summer are very effective for estuary perch. The river channel reaches 8 m in depth as it passes 'Kinnears'. A shallow reef on the eastern bank is a good location for bream, estuary perch and mulloway. Just upstream on the northern bank at 'Shipley' there are steep rocky banks which provide good bream habitat and these are followed by shallow mudflats which attract bream and estuary perch. The 'Hen & Chickens' reefs are excellent spots for bream and estuary perch. The river depth varies between 4 and 8 m and a sounder can be used to locate the deeper reefs and drop offs. Drifting and casting with bibbed lures and soft plastics is ideal. Further upstream there is an 8 m deep hole just off 'Wilsons Bank' which can produce mulloway. Boat anglers can navigate around these islands, but need to exercise caution when fishing the adjacent shallow flats. Good catches of bream, yellow eye mullet and estuary perch can be taken here. Fallen trees on the southern bank and patches of submerged reef provide further habitat. Shore-based access is via Kinnears Road which runs off Hopkins Point Road on the southern side of the river. Park your car and walk down the hill. There is good fishing along this stretch and at 'The Pass' which is about 300 m upstream. Jubilee Park Road provides the final shore-based access point to the estuary. The Jubilee Park Caravan Park and the Allansford Angling Club are located here. Good land-based fishing opportunities are available from the concrete and bluestone wall along here as well as sizeable floating fishing platforms. An 11 m deep hole just in front of the jetties is a good spot for mulloway. The concrete boat ramp is popular with anglers and a new fish cleaning facility has recently been installed. A newly established angler access track leads upstream to an area known as 'The Pass'. Signage here warns boat anglers of the danger of submerged rocks as very shallow rocky reefs extend across the river. Bream can be caught at first and last light and on overcast windy days, but rarely without the loss of some tackle. Access is via Kinnear Road on the southern bank or from Jubilee Park on the northern bank. There is plenty of parking available. The drop-offs just in front of Breakfast Rock and Sandy Point fish well for bream and estuary perch. Just upstream and around the bend is Tooram Stones which marks the end of navigable water due to the extensive rock barrier across the river. Just below the rocks is a wide 8 m deep hole. Fishing the edges of 'The Stones' can produce good catches of estuary perch and bream can be captured along the banks of the hole. Nearby the shallow mudflats in front of the Lake Gillear drain fish well for bream, mullet and estuary perch. Large mulloway can be caught in the deeper holes at times. Smith Lane runs off from Jubilee Park Road and provides some bank access. There are no facilities here. The 40 m stretch of bank produces short-finned eels, estuary perch, small bream and the occasional brown trout. Canoes can be launched here.